Tenerife is the largest of the seven Canary Islands in the Atlantic Ocean off the coast of Africa. Like the rest of the Canary Islands, it is volcanic in origin. The highest point of Spain, Teide (3 718 m), is on this island. Tourism is concentrated around Playa de las Americas, and Los Cristianos and there is also a much visited town in the north called Puerto de la Cruz. Costa Adeje - extends from Playa de las Americas through Puerto Colon, Torviscas, Fanabe, Playa del Duque all the way to La Caleta. Popular area with tourists. The area, naturally has wonderful beaches and views, but also offers plenty for golfers. This stunning 4 bed villa with private pool is definitely for the more discerning holiday maker. Casa Castle is a most amazing and unique Tenerife villa and what memorable holidays are made of. Set within its own huge grounds covering 1300m2 the villa sits impressively in the lovely location of Adeje, with sea views down over Las Americas. Of the very highest quality this luxury Tenerife villa offers 4 bedrooms, a lovely pool, hot tub, sea views and large landscaped gardens. Adeje is home to some of the best beaches on the island, including the gorgeous "Playa Del Duque" which is only 5 minutes drive away. Here you can not only enjoy a beautiful beach but designer shops and classy restaurants too. The bustling resorts of Las Americas and Los Cristianos are both within a 10 minute drive and for this who like life at a slower pace, the quaint fishing village of La Caleta is less than 5 minutes away too. Sleeps 8. Next to the Las Américas golf course and the beach, the low-rise Compostela Beach Club complex is well positioned for sun worshippers or golf lovers alike. The golf course is only 400 metres away and Las Vistas Beach is only 800 metres from the hotel. The hotel is well suited to families, with cribs available, a children's pool, play area and a full range of kids activities. Adults can also enjoy a range of activities, including fishing, horse riding, sailing and whale watching. The onsite restaurant offers a buffet-style range of regional and international food for breakfast and dinner. All apartments are fully equipped with kitchens, private bathrooms with bidets, cable TVs and balconies or terraces. Hairdryers, irons, ironing boards and in-room safes can be hired from reception. The Royal Sunset Beach Club is located in Playa de las Americas, Spain, 6.5 kilometres from the coastal town of Los Cristianos, and 11 kilometres from Arona. There is an outdoor swimming pool and a spa tub, and wireless Internet is provided in the air-conditioned public spaces (surcharge). Royal Sunset Beach Club's onsite restaurant serves international dishes, and light refreshments are available at the poolside bar. The hotel's 126 guestrooms have kitchens with microwaves and refrigerators, coffee and tea facilities, televisions, and complimentary toiletries. The Sol Sun Beach Apartments are located in Costa Adeje within 50 metres of Fanabe Beach and 100 metres from the commercial centre. This modern apartment complex houses an outdoor pool as well as a separate pool for children. There is a disco, and daytime and evening entertainment is provided. The front desk is open 24 hours a day. The poolside bar at Sol Sun Beach Apartments serves snacks and drinks, and there is a buffet restaurant on site. The 140 apartments provide terraces or balconies, as well as kitchenettes with refrigerators. All have sofabeds and telephones. The Sunset Harbour Club is located in Adeje, Tenerife, 150 metres away from the beach and 800 metres away from the marina. The entertainment areas in Playa de las Americas are eight kilometres from the hotel. Numerous aquatic activities are available a short distance from the hotel, including surfing, kayaking, sailing, windsurfing, water skiing, and parasailing. The hotel offers a spa tub, an outdoor pool, a poolside bar, and a children's pool. The 140 apartments provide terraces or balconies, as well as kitchenettes with refrigerators. All have sofabeds and telephones. Numerous aquatic activities are available a short distance from the hotel, including surfing, kayaking, sailing, windsurfing, water skiing, and parasailing. 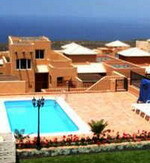 his is a gorgeous luxury villa situated on the edge of the famous Costa Adeje Golf Course in South Tenerife. No expense has been spared in furnishing this luxury villa and it provides not only high class accommodation but amazing views too! It is located about 15 minutes drive along the TF1 from Reina Sofia International Airport in the south of Tenerife, and it situated between the town of Adeje and the beautiful fishing village of La Caleta, adjacent to Playa de las Americas. This luxury vills to rent is simply unadulterated luxury - and also set in one of the best locations in Tenerife. The property is air-conditioned throughout, and every piece of furniture, every light fitting and accessory has been hand picked by the owners. You cannot fail to be impressed by it's sheer class and of course the gorgeous views! Sleeps 6. This brand new state of the art villa, situated on the edge of the famous Costa Adeje Golf Course in South Tenerife. No expense has been spared in furnishing this luxury villa and it provides not only high class accommodation but amazing views too! It is located about 15 minutes drive along the TF1 from Reina Sofia International Airport in the south of Tenerife, and it situated between the town of Adeje and the beautiful fishing village of La Caleta, adjacent to Playa de las Americas. This luxury villa to rent is simply unadulterated luxury - and also set in one of the best locations in Tenerife. As well as luxury furnishings, the property has a heated pool and is air-conditioned throughout too! Sleeps 6. Los Cristianos - situated 15 kms west of the southern airport (Reina Sofía), this is one of the most popular resorts on Tenerife. The town has a harbour with pleasure cruises and ferries to La Gomera, and lovely beaches. Originally a small fishing village, Los Cristianos has managed to maintain some of its original look and is more popular with the more mature tourist. This unique 2 bedroom duplex offers a lovely sunny balcony and private roof terrace both with fantastic Sea and Pool views. Set within the more exclusive end of Los Cristianos this apartment offers the perfect combination of peace and tranquility yet is only 10 minutes walk from the beach and resort centre for those who like it a bit livelier. The lovely refurbished two bed apartment offers lovely views from the balcony or the spacious private roof terrace. With either terrace offering all day sun this is a perfect spot to watch the sunset over Los Crisitianos harbour with a nice cold drink! Inside the apartment has been recently refurbished, with a sparkling new marble floor and new furniture. As you walk in the 2nd bedroom is on the left hand side with twin beds, fitted wardrobes and a safe. You then walk into the kitchen / lounge area that opens out onto the smaller balcony with sea and pool views. Sleeps 4. The Aguamar Apartments are in a whitewashed complex set around a lagoon-shaped swimming pool, 900 metres from the beach and local shops. Guests can enjoy the benefits of the local Aqua Spa and children can play at the Aqua Park; both are four kilometres from the apartments. Guests can spend sunny days relaxing on the sun terrace and cooling down in the hotel's lagoon-shaped swimming pool. The hotel also has a hot tub, and children's playground. Guests can mingle over drinks in the bar area and watch television in the lobby lounge. Facilities for water sports including parasailing, water skiing and windsurfing are available at the beach 900 metres away, and there is a golf course two kilometres away. Onsite entertainment includes a pool table, children's playground, mini golf and squash. The Apartamentos HG Cristian Sur are located in Arona, Spain, 200 metres from the nearest bus stop, 500 metres away from Los Cristianos Beach, and two kilometres from the luxury stores at Costa Adeje. This contemporary apartment complex lies 500 metres from the shops, bars, and restaurants of the Spanish fishing village of Los Cristianos. The hotel has four swimming pools designed for adults and children, which are set in a garden area surrounded by umbrellas and sunloungers. Groceries and other essentials can be purchased at a shop within the complex. At Apartamentos HG Cristian Sur the Cafeteria Arco Iris serves a menu of international food, sandwiches, and snacks alongside drinks and cocktails.The complex's 260 apartments are spread over three floors located in five separate buildings. All apartments have a terrace or balcony. HG Tenerife Sur Apartments is located in Tenerife, Spain, within 500 metres of the sandy beaches and shops of Los Cristianos. 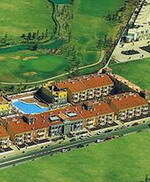 Golf Course Las Americas is one kilometre away and Costa Adeje is two kilometres away. 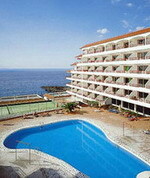 The hotel has heated adult and children's outdoor swimming pools and also offers a sauna. There is a 24-hour front desk, multilingual staff, and high-speed Internet access in public areas (surcharge). 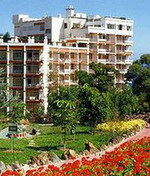 HG Tenerife Sur Apartments' restaurant, Las Flores, serves international dishes. The shaded terrace cafe offers light meals, snacks and drinks. Half-board rates are available. The 190 apartments all have balconies or terraces and amenities include kitchenettes, tea and coffee facilities, hair dryers, and satellite television. Set within the more exclusive end of Los Cristianos this apartment offers the perfect combination of peace and tranquility yet is only 10 minutes walk from the beach and resort centre for those who like it a bit livelier. This brand new bed apartment offers quality accommodation within a select area in Los Cristianos. 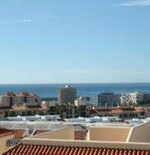 The complex of EL Mirador is a brand new complex with lovely views over Los Cristianos to the sea. Like the complex, the apartment is brand new with a fresh and sparkling feel. 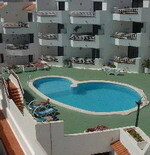 It benefits from a larger than average sunny balcony with lovely sea views over Los Cristianos. However, it's get's even better than that! The balcony has a spiral staircase which leads to the even bigger private roof terrace with stunning panoramic views and of course all day sunshine!! The Living room has a sofa bed, armchair, satellite TV, and patio doors leading to the large balcony. Sleeps 2. Puerto de la Cruz - Founded in the 16th century, the city has narrow, winding streets and a large harbour, and is an important centre of commerce in Tenerife. Typical Canarian city, with many restaurants, bars and shops. Lots to see and do. A popular tourist resort with lovely beaches close by. 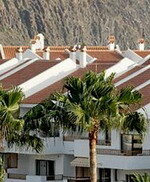 The Apartamentos Casablanca are located in Puerto de la Cruz, Tenerife, Spain. The botanical gardens are just 500 metres away, while the natural pools of Lake Martianez are 800 metres and the beach two kilometres from the hotel. Set amongst palm trees, Apartamentos Casablanca are a modern resort property offering an outdoor swimming pool with sun terraces and loungers. The resort offers an entertainment programme throughout the year and an activities programme for kids runs in high season. There is also an onsite bowling green, games room, and gym with fitness equipment and exercise classes. The 287 apartments are spread over seven floors and include kitchenettes with refrigerators and microwaves. All rooms extend to balconies and amenities include satellite television, direct-dial phones, and safes. The Apartamentos Noelia Playa are located in Puerto de la Cruz, Tenerife, Spain, 300 metres from the black-sand beach of Playa Jardin, and 500 metres from Puerto de la Cruz town centre. The Apartamentos Noelia Playa has a rooftop swimming pool and a games room, and guests can enjoy live music in the bar in the evenings. There is also a hair salon and gift shop on site. The restaurant serves buffet dishes for lunch and dinner and snacks are available in the cafeteria throughout the day. A complimentary buffet breakfast is offered to guests of the Apartamentos Noelia Playa. There are 160 air-conditioned studio apartments, all with satellite television, kitchens, refrigerators, and balconies. Located in a residential area on the edge of Puerto de la Cruz, the nine-story Eden Apartments is set in its own extensive gardens. Guests can take a dip in one of the three outdoor swimming pools, lounge under parasols on the sun terrace while sipping cocktails from the poolside bar, stroll through the extensive gardens or sweat it out in the sauna. The hotel's light-filled, ground-floor restaurant offers an a la carte international menu and dinner buffets featuring typical Canarian specialties, or guests can opt for fish or meat barbecues, panoramic views, and live music at the 9th floor restaurant. A free bus runs between the apartments and Puerto de la Cruz. White walls, lively green details and summery rattan furniture are featured in the 224 studios and apartments, all of which have private balconies, separate kitchens and satellite TV. Puerto Santiago - Previously a small fishing village, and now a tourist resort. Puerto Santiago has a small beach, and this area is very hilly and so is not suitable for the infirm. The resort features a mixture of homes, hotels and apartments with an assortment or bars, shops and restaurants but little in the way of nightlife. Set in a quiet residential area, this 3 bed villa to rent in Puerto Santiago, Tenerife has newly been refurbished and is presented in immaculate condition. The villa has stunning views across the bay to the island of La Gomera. This villa is truly stunning and has been fitted throughout to a luxurious standard. On the ground floor level of the villa you will find the stunning modern lounge,which is air conditioned and has white leather sofas and matching recliner chairs for 6 people. There is also a large widescreen plasma with Sky TV channels including Sky Sports, plus a DVD and blu ray player. There is also a hi fi. From the lounge, patio doors lead out to the beautiful pool and terrace. The large luxury modern kitchen has granite work surfaces, a dishwasher, an oven/hob, fridge freezer, microwave, coffee machine, toaster, and sandwich maker. There is also a breakfast bar. Sleeps 6.